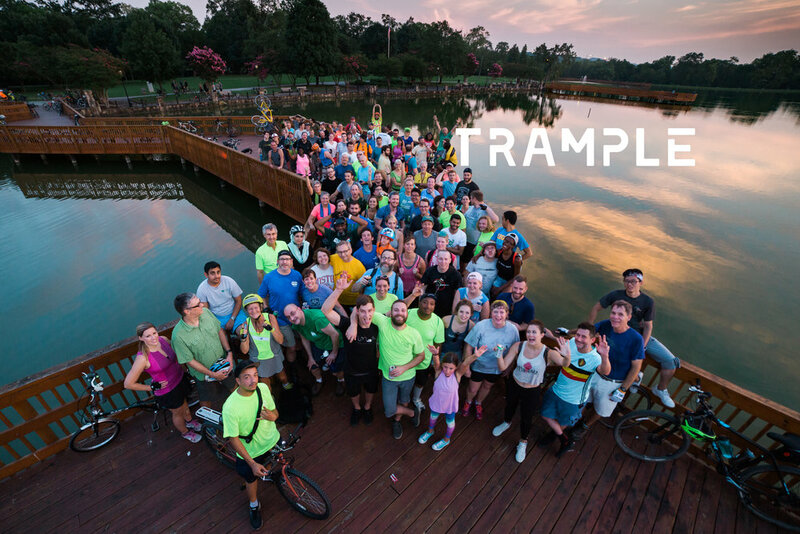 Join the RC family for our Trample! 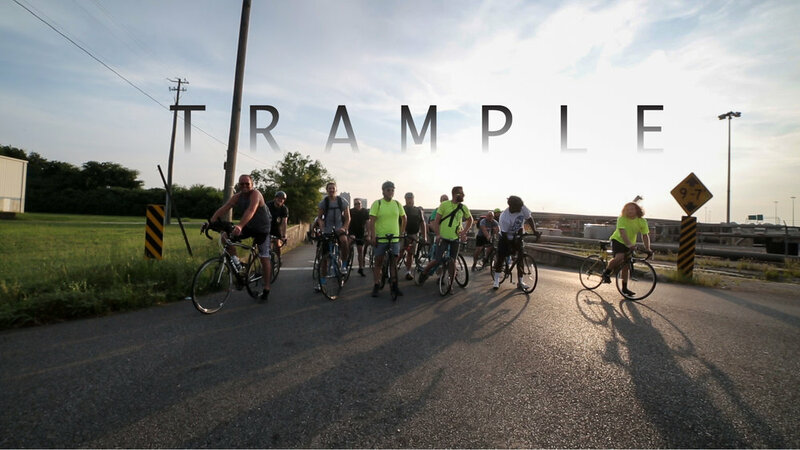 Every Thursday we leave at 6:30 pm, rain or shine, for a 10 mile bike ride. It's open to everyone, even new riders. 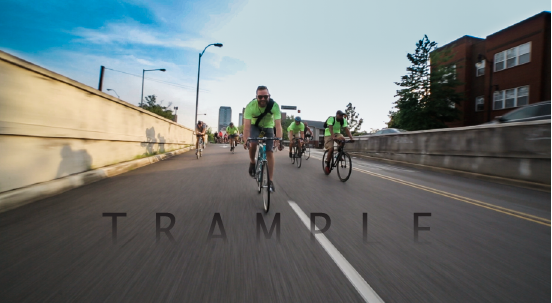 Every Thursday evening the Redemptive Cycles Family goes for a ride! 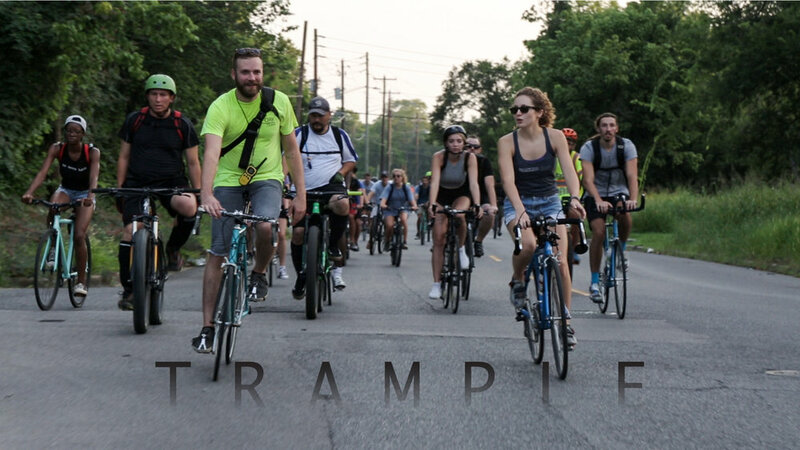 The Trample is a FREE all ages, all skill levels, social bike ride - no riders left behind! 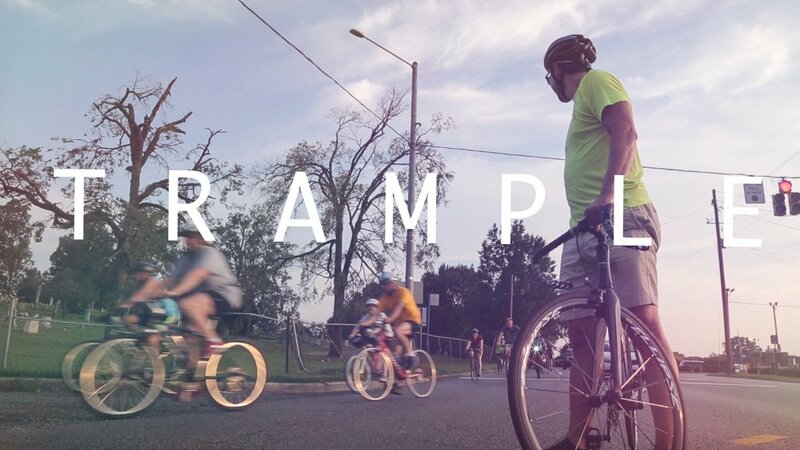 We promise, it's like no other bike ride you've ever been on. We could care less if you wear spandex (full disclosure : we don't!) but we want you to feel included in our family and to meet new friends. The route changes week to week but it will cover approximately 10 miles and includes a brief stop along the way at a park or landmark. 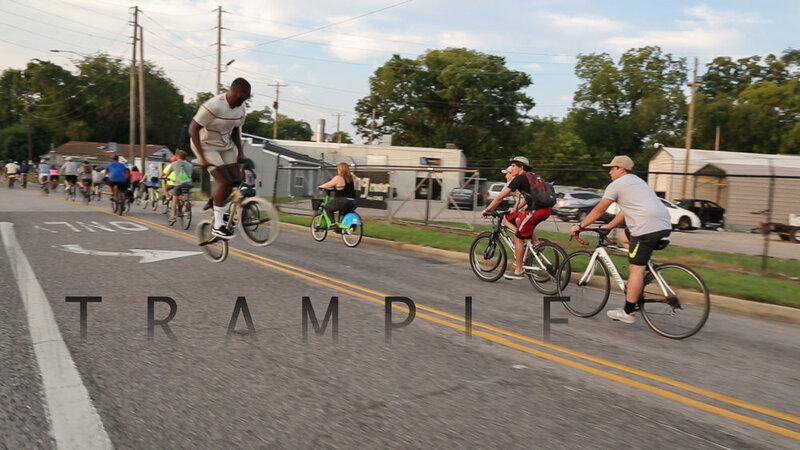 Meet us behind the shop at 6pm : we roll out promptly at 6:30pm. Meet up at 6pm. We depart at 6:30, don't be late! The ride will cover about 10 miles of mostly flat terrain at a relatively easy pace. We don't leave anyone behind. 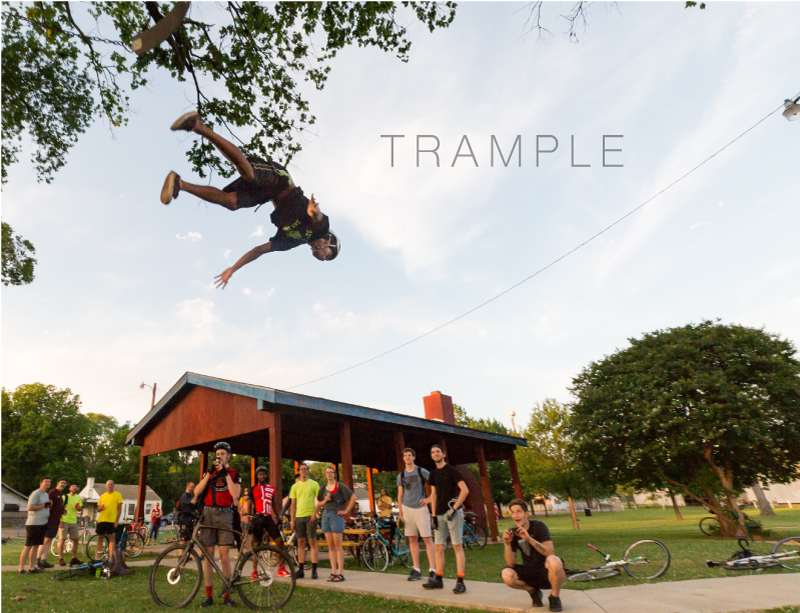 The ride will travel to a park or landmark where we'll stop for 15-20 mins to grab a refreshment (BYO) and socialize. It may be dark when we head back to the shop - bike lights are encouraged (but not required) and are available for purchase before the ride. Stay after the ride and hang out if you feel so inclined. If it is Thursday, then YES, we are riding. We don't take days off for hot, cold, rainy, windy or sleet-y weather. You will be riding in a group. Be aware of those around you and do your best to ride in a straight line. No texting/snapping and riding. Do not pass the ride leader. They are the only one who knows the route! Because our rides are not officially sanctioned and the roads are not closed, we practice a group ride tactic known as corking for safety. Allowing cars to separate the group is dangerous, so we try our best to maintain a cohesive unit during our rides. Since the group is so large, the first riders may enter an intersection with a green light, only for the light to change with half the group still behind. Rather than allow the ride to become split up, several riders - "corkers" - will anticipate the light and physically block traffic attempting to enter the intersection from side roads. This allows the group to clear the intersection without becoming separated. While we regret making our driving friends wait, it is the safest option is for the group to remain intact. Smile, wave and yell "thank you" as you ride by!